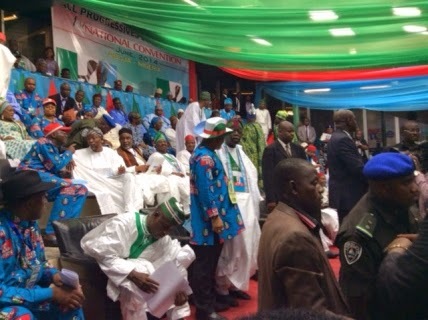 Here are some photos from the All Progressive Congress (APC) Convention that held yesterday, June 13th at the Eagle Square in Abuja. Same old same old. APC and PDP same water boiling in different pots. I learnt that the heavy wind and subsequent rain of last night sent them scampering for shelter. What an omen? I hope their agenda is not evil. 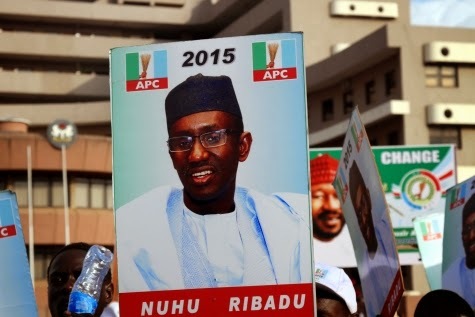 The only sane person in this party is Nuhu Ribadu. The rest are bunch of hiploccos and retards tested positive for madness. They are desperate politicians, who does not care how childish their comments appear when the face cameras or media house.ITS NOT THE LOAD THAT BREAKS U, BUT HOW U CARRY IT. Controversial and confusionists!Am yet to get their agenda for Nigeria come 2015.They are just too hungry for POWER at all cost. Looking forward to 2015 wen APC wud be incharge for progress. A bunch of criminals and hoodlums dressed in political gabs, at a political gathering, organized to elect chief thieves to run a land of no doers. 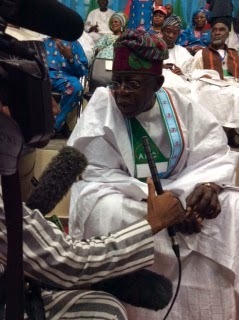 Jagaban don dey old sha....2015 leggo! This got me cracking !! U are so so right .. 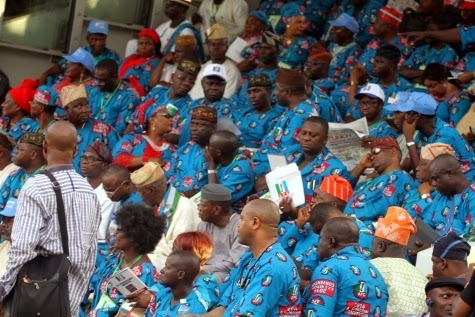 I really do not like APC, they can not even organize a political convention and they want to reorganize Nigeria SMH.... see how unorganized the convention was, touts everywhere, Hausa cattle rearers everywhere . We have a long way to go in this country. Progressive terrorists... Progressive thieves... God won't be too cruel on Nigeria to allow this selfish fools come to power... Look at Nyako in the background looking like the devil... This party was dead on arrival! We are not idiots... A terrorist party can't rule.. Am sorry mate! Where is Rotimi Amaechi? Is anything wrong? He wasn't see at the convention venue. Ground level so? 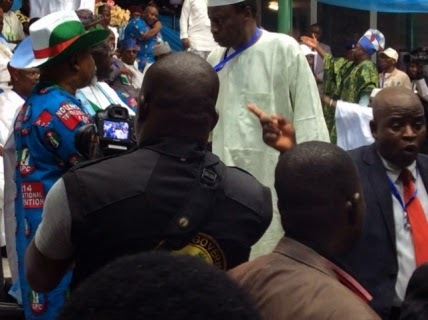 Following the aftermath of the just concluded APC convention, Gov. Amaechi has this to say: "Let it be known, that I didn't just join the APC, I was wooed by the legacy parties and four other PDP governors then. Naturally in every bargain, interests must be spelt out. 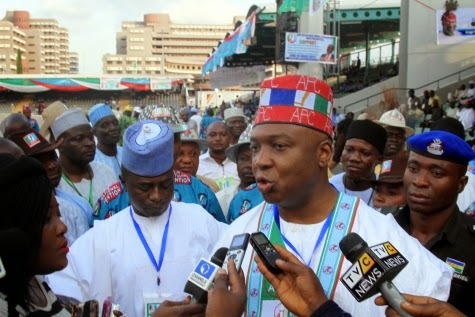 Of course they did promise me the Vice Presidential ticket in the forth coming election with a condition to sell the party and make President Jonathan unpopular. The initial arrangement was to pair me with Hon. Tambuwal (Speaker of House of Representatives) . 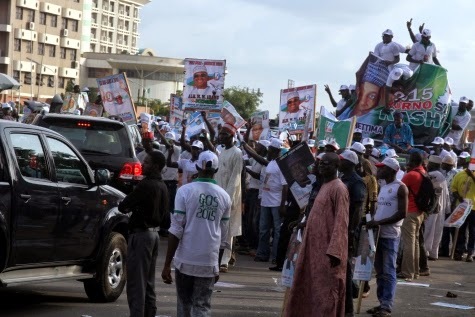 But when other entrants like Atiku and others entered the party, everything changed. It was Gov. Nyako that opened up to me on the recent changes, and pleaded with me to take the position of the National chairman of party, that it will be zoned to the South-South. And I grudgingly accepted. Now, in every political convention, consensus building is needed to harmonize all interests. So I initiated a platform for the 16 APC governors to talk in Port-Harcourt last week. And in that meeting, the 13 governors and their deputies that were in attendance reassured me that I will be given the national chairmanship slot. But when I asked gov. Adams to ask Chief Ikimi and John Oyegun to step down for my candidate. Adam's quietly told me "My brother, I know the bad name they have called you in the South-South and Rivers in particular. Again, I sympathize with you because I know how much you have put-in in APC, this Yoruba and Hausa people can't be trusted, they said you couldn't build the APC in Rivers State and that only 95,633 out of the 1.3 million membership you claimed have passport photographs. That everything was doctored by you". I find it very disappointing, that we no longer have men of trust, and integrity. Men whose words should be their bond in politics. So last night, I made my position clear, that if the other candidates didn't step down for Dr. Sam Sam Jaja, then there was no point picking the expression of interest form. I feel deeply betrayed"
All of you in this page are mad people... Na your grand children go suffer your madness...sebi you no want better tin!?... 21,22-29 years old or even more and you don't have life!...yet your foolishness of Jonathan has no bounds!.. Your mates in other developing countries have a life..yet you are outstanding in madness here!..you are not even eating stipends in Jonathan's government., yet your damnation continues!... If you think people like you are the majority you merely deceive yourselves, anyway you love to. you are even lesser than the minority!.. I don't even think you exists. I think you are paid!.. Dry heads!..your children go curse you! You people talk like leaders and not as followers..as followers you are suffering!....yet you are talking like leaders..once you realise that you are followers and your life needs a change, you will vote for Apc..sebi na because you still dey see 10mb browse..and see some ill nutritioned food eat and livng some ill nutritioned life in some ill nutritioned house maybe face me &face you, no good quality education e.t.c..soon all of you go born now, so una go com be two wey go dey suffer ur sufferings unless you give birth to twins or triplets!..then your children go dey curse you for making bad decisions!...All of you here, you don't love your nation..you love yourselves. And you cannot travel out cos oyinbo go send you back cos you have to build your nation..you cannot use their country as an escape route!..you will pay the price for not being wise, for being a glorified fool!...a piece for you if you exist, cos I don't believe you exist, I believe most are all paid here to comment..from Jonathan's camp. Who was part of the PDP that ran the country down? Is it not the same people that are now in APC? It baffles me how some Nigerians can not see the real agenda of this APC. If you pour Mirinda inside Fanta bottle, it will still taste like Mirinda when you drink it. Am ready to give them a try ,have voted for pdp so many times and they have failed me woefully ,even the man with no shoes has taken this country to his death,if he comes back it will be to bury the country.he doesn't need another four years,wot he couldn't do in the 3yrs given to him ,he can't do in anode 4yrs.let not waste any more time ,let their be change ,afterall the country is tough now and it's getting worse.please let's think this thru and to the right thing for once. Firstly that story about Ameachi is very untrue. Secondly, if GEJ believes some people like APC are trying to paint his Govt black, He should prove them wrong by showing Competency. Is govt is criticized both locally and internationally. Pls watch CNN and foreign media on Nigeria, are they APC too? His incompetency is global. If you are supporting GEJ based on his performance, Good! but if you are supporting him based on where he is from, you are most miserable Nigerian.